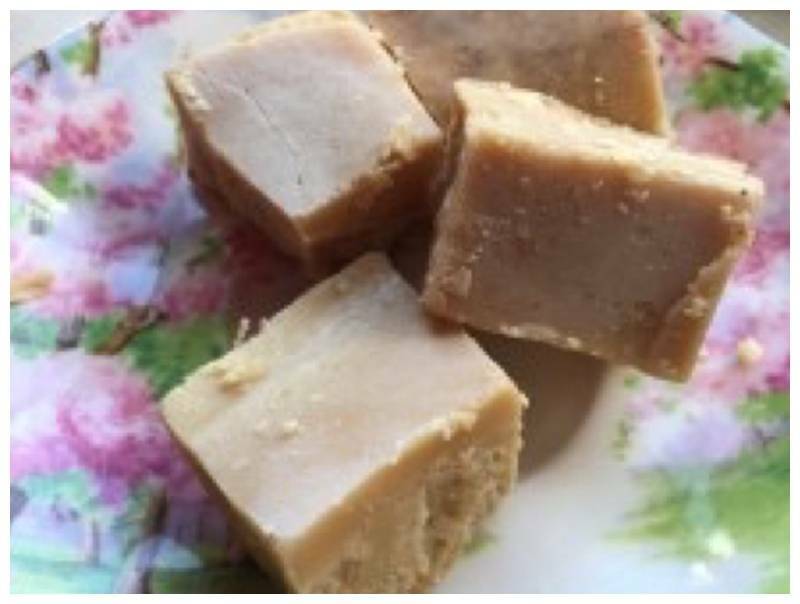 A delicious sugar-free fudge, containing, among other things, Greensweet liquid stevia Caramel. Put the coconut oil, peanut butter and santen in a small pan and melt it on a low heat until it is 1 smooth mass. Remove the pan from the heat and add the greensweet liquid stevia. Stir well together and pour into a small baking tray covered with parchment paper. Then put it in the freezer until it is hard. Cut nice little cubes and ready is your healthy fudge.